Some recipes are deceptively simple. 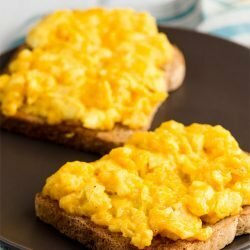 Although I first learnt how to make scrambled eggs with cheese when I was about 13, I just really did not know how great they could and would become. 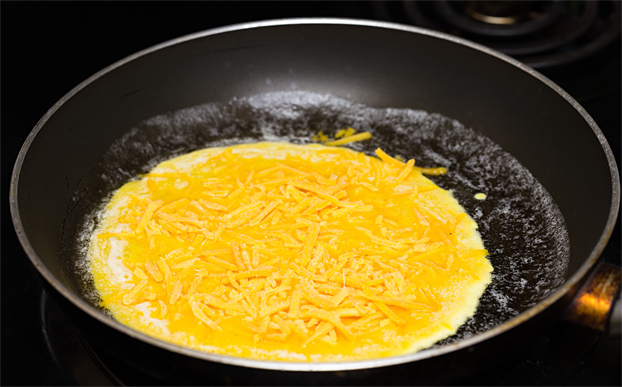 Of course, you could just throw some eggs in a pan, launch some cheese on top, and be done with it. Or, you could follow a recipe and method that is just as simple, but will deliver top grade scrambled eggs each and every time. Quite probably the best scrambled eggs you have ever eaten. That’s a big claim, but one we’re willing to lay on the line. We’re confident. Before we move on to the recipe, however, I’d like to talk about eggs themselves, and just how important (and controversial) they are. Be warned: once you peep behind the curtain, there’s no turning back. 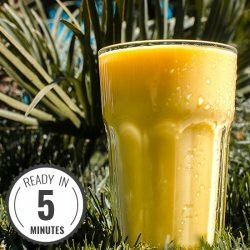 So if you only want the recipe, just skip to the bottom. If you want to know more about where eggs really come from, then read on. 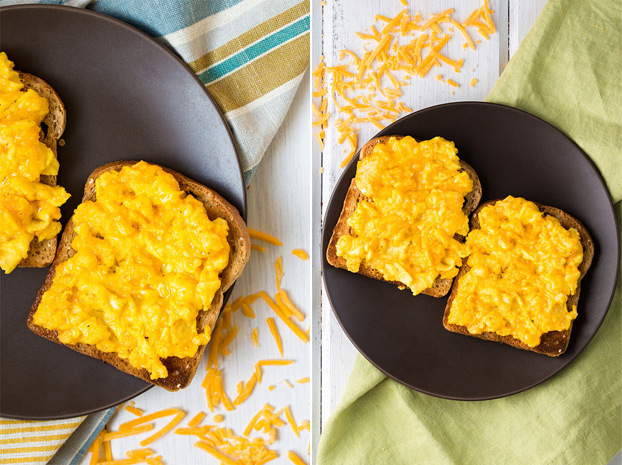 Scrambled Eggs with Cheese – the chicken or the egg? To keep it brief, although some ‘free-range’ or ‘organic’ chickens live in better conditions than most, there are even deeper problems than the awful conditions of so many factory farms. Over time, farmed chickens now generally fall into two categories: chickens bred for meat, or chickens bred for eggs. When it comes to egg-laying chickens, the males are no use. They’re also not big or fat enough to be grown quickly for meat, so what happens to them? They get culled shortly after birth – within a day. Untold hundreds of millions of baby chicks, gassed, suffocated or sent through to be macerated by a grinder. All in the name of efficiency. It’s a nasty world. There are some small pieces of good news filtering through. By roughly 2020, it is hoped that the gender of chicks will be able to be seen through the shell – before they are born. This changes the problem and creates a new one – what to do with all those male eggs that won’t be hatched. Some will be bought for various forms of research – and the rest? Who knows. Though I can probably guess. 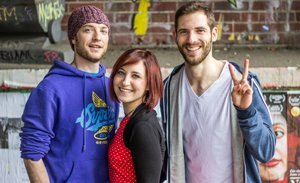 In Germany, there are a couple of organisations set up to save the young males – Bruderhahn (Brother Rooster) for one, where they will keep the males alive with their female counterparts – for a time at least. I have yet to find a similar organisation in the US, but if you know of one, I would love to hear about it! 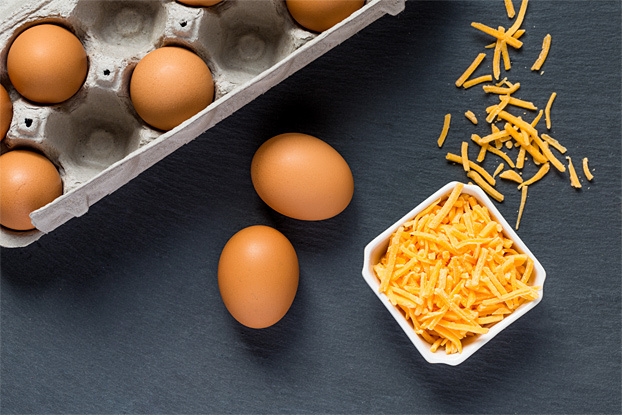 Long story short – think about where your eggs come from, and then make the decision about which ones you buy. Every step you make to help, helps. No matter how small. 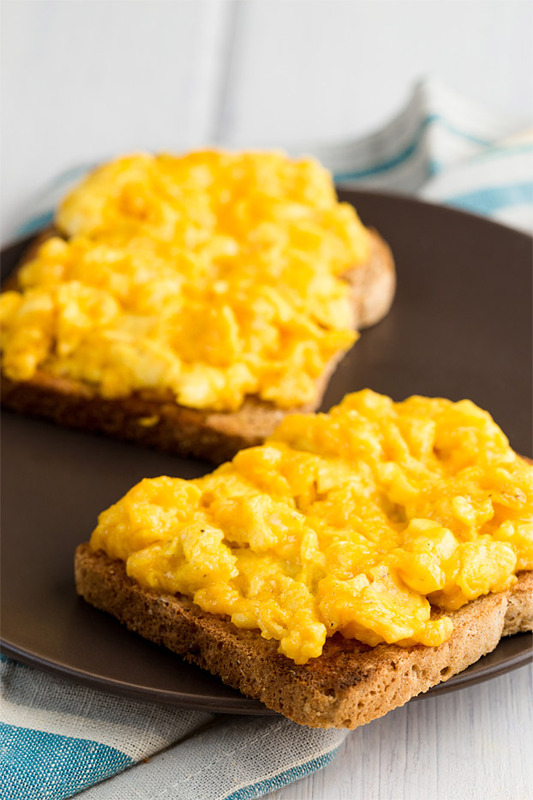 Make the best scrambled eggs you’ve ever had with our quick & easy but simple to follow recipe - so good you’ll never look elsewhere again! 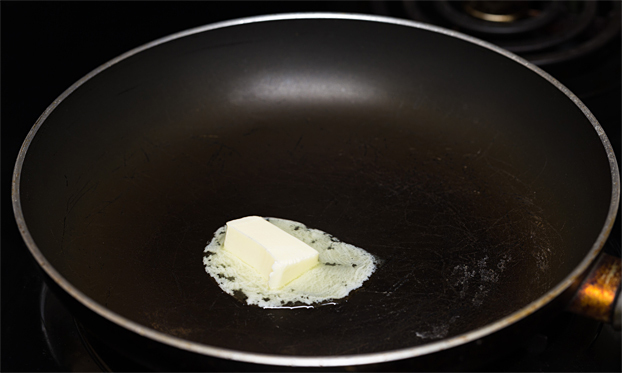 Put a frying pan onto a medium heat and put in the butter or oil. Break the eggs into a bowl and beat quickly with a fork. Add some salt and pepper to the egg mix. 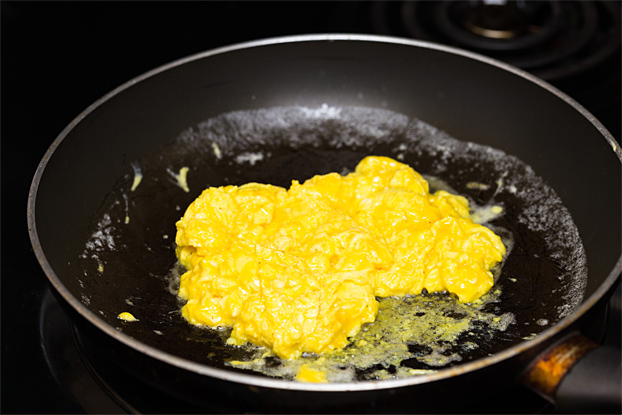 Tip the beaten eggs into the frying pan. Layer the cheese on top. The eggs will start to solidify almost straight away - as soon as they do use a spatula and ‘pull’ the eggs in from the side to the middle. Repeat the pulling in several times. It doesn’t take long, the idea behind this is you’ll have soft, lightly cooked fresh eggs. It’s hard to undercook an egg really, but very easy to overcook. 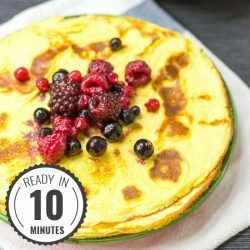 2 - 3 minutes cooking time is all you’ll need. When the egg has no ‘watery’ bits left, you’re done! Quickly remove from heat and transfer to plate - preferably on top of some lovely, hot, unbuttered toast. 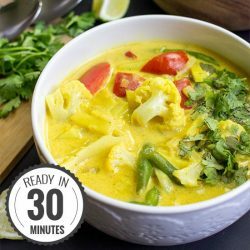 If you need help going vegetarian and need to be pointed in the right direction, please check out the 30 Day Veggie Challenge.